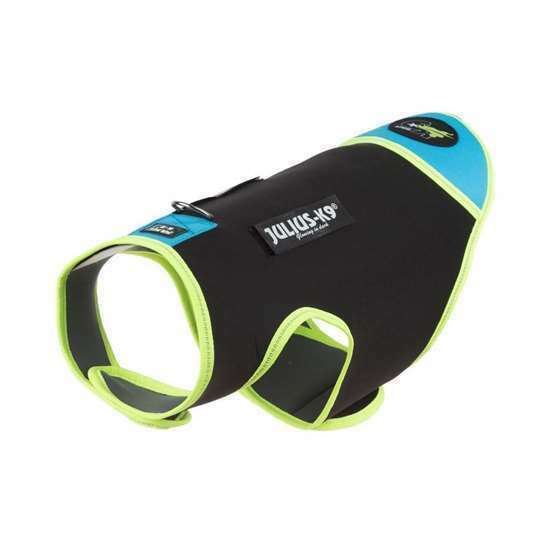 Black & Aquamarine, Baby 2 IDC® neoprene dog jacket - Las Vegas K9 Inc. It offers effective protection on the cold days. 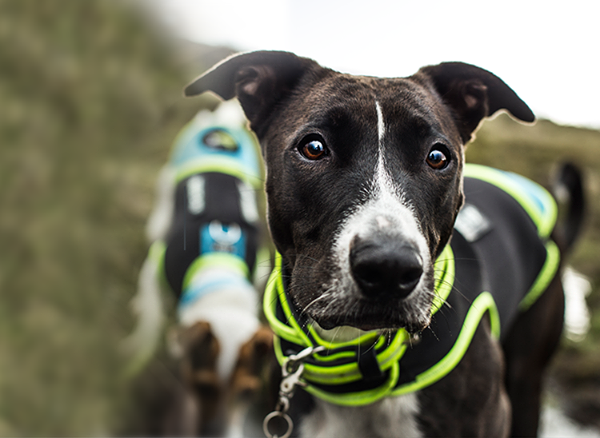 The soft, waterproof, elastic material of the IDC neoprene dog jacket fits the body of the dog tightly. Its excellent thermal insulation capability is guaranteed by thousands of tiny air bubbles embedded in the neoprene material. It is a comfortable wear for dogs. Its phosphorescent and reflective elements ensure high visibility. It is very simple to put on: by means of two strong Velcro fasteners on the chest and under the belly.